Feng Shui is the art of placing objects in the home to enhance and keep energy (chi) moving. Stagnant energy means a stagnant life. The use of a bagua, or Feng Shui map, is necessary in order to know what area of the bagua each room falls into. The map is always placed with the "career" area at the front entry to the home. Find a bagua map and place it over a floor plan of the home to locate the various sectors that might be enhanced by the inclusion of a fish tank or bowl. Placing a fish tank in the area of the bagua for wealth and abundance will place it at the far, upper left corner of the bagua. If this is the kitchen or bedroom in the home, do not put the fish tank in either place---the movement is far too stimulating for these areas. Instead incorporate pictures of fish in those rooms. Use pictures of odd numbers of fish in two different colors. Odd numbers represent growth and two colors of fish represent a balance of yin and yang. Look for photographs, prints and posters of fish by searching magazines (try travel, outdoors and camping, landscape and photography magazines), art galleries and poster stores. 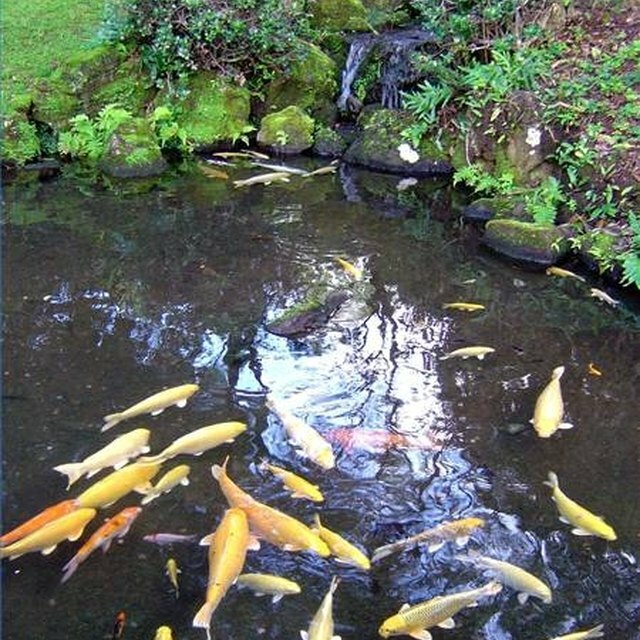 The moving water and fish will enhance the movement and flow of wealth. When placing a fish tank in the wealth sector, the tank should be kept clean both inside and out to prevent a stagnant or murky path to abundance. It is not necessary to have a large tank and, in fact, a simple goldfish bowl and three goldfish are enough to set abundance in motion. Symbolic versions of fish will work, too. When computers are located in the wealth sector, place a fish-themed screen saver in motion. Add a mirror somewhere facing the screen and multiply the wealth by reflection. Although the color of water and the undulating shapes that can enhance the water are both items that need to stay away from the "fame" area of the home, sometimes actual water works just fine there. When fame is a desirable area to enhance---think celebrity, recognition at work or in the community, winning an election, an award, a spot on national television--- a small fish tank is a good remedy. Adding a simple fish bowl with a single goldfish to the knowledge and skills area can stimulate learning and help to refine physical and mental skills.